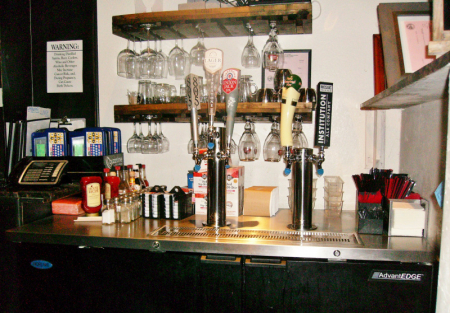 Great Long Standing Restaurant and Bar nestled in one of Ventura's great communities. Located in a busy neighborhood shopping centers with a Major Food Market and Drug Store and may other businesses. The Bar has a type 47 hard liquor license and separate entrance of its own for convenient access catering to the adult population. Tucked into the middle of this beautiful neighborhood this restaurant shines out as the premier destination for Breakfast, Lunch and Dinner. Many of the Locals find this their "Go To Place" for a good menu variety that has something for everyone. The sales volume is about $66,000++ per month range for 2018. There is plenty of upside that an experienced operator can fix and add lots of revenue and profit. The Cost of Goods and Labor Costs have risen because there is no one there to over see the daily operation. This restaurant should produce a nice profit for a working operator who will implement the needed controls. Current Owners have another business and full time career and find they do not have the time needed to operate this business the way it needs to be run. They have found that trying to run this Restaurant in their spare time is just too much to handle so they are offering this restaurant at greatly reduced price to a qualified operator. The bar area is setup with big screen TV's to watch the days sporting events and relax with your favorite cocktail or beer and tasty appetizer. The restaurant has begun doing outside catering events but due to owners not having the time to build on these sales they have slowed down. An owner operator who can focus on this could see this area of business grow substantially with the vast number of businesses in a close proximity needing food for office meetings and other events. The Dining Room has a comfortable Open Air feel with comfortable tables and booths throughout. The layout makes it easy to accommodate large parties when the need arises. With seating for 100+ people throughout, there is no lack when guests arrive. Current Lease runs through March 31, 2022 and has a 5 yr option. Buyer will need to show good experience in the restaurant business and plenty of cash and have strong financials as the landlord will require this for the lease assignment.